Batman's arch enemy and all round bad guy The Joker becomes a night light shining light into your child's room at night. 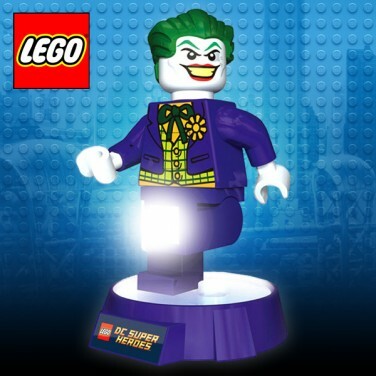 Famed for his notoriously naughty schemes, The Joker has his trademark green hair and manic smile but somehow manages to look a lot friendlier in his Lego format. With white LEDs in both of his, press his tummy to activate and The Joker will light up for 30 minutes allowing little ones to drop off in gentle light. 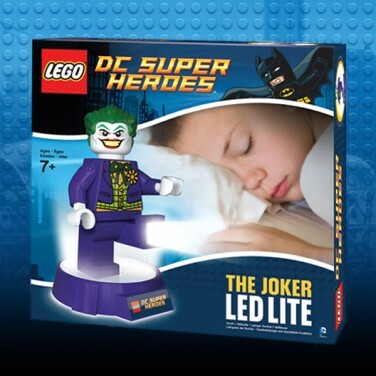 Lift The Joker from his base and he becomes a handy torch, ideal for night time trips to the loo and sleepovers!